édité le 07/11/2017 - Plus de news de "CHEVRON" - Voir la fiche entreprise de "CHEVRON"
Chevron Canada Limited (Chevron) announced it is moving into development on a portion of its leaseholdings in the Kaybob Duvernay area of west-central Alberta. The decision follows a successful three-year appraisal program by Chevron. It is anticipated this initial development program will comprise approximately 55,000 acres of Chevron’s operated position in the Duvernay resource in the area known as East Kaybob. The program will utilize long-term infrastructure development and service agreements with Pembina Pipeline Corporation and Keyera Corporation, with service expected to be available during the second half of 2019. “The Duvernay formation is one of the most prospective liquids-rich shale plays in North America. Chevron Canada looks forward to realizing the value of this resource from our industry-leading position while delivering economic benefits to local communities, Alberta and Canada,” said Jeff Gustavson, president, Chevron Canada Limited. “Chevron is committed to collaborating with aboriginal peoples and local communities to build long-term, trusting and mutually beneficial relationships related to the Kaybob Duvernay development,” added Gustavson. 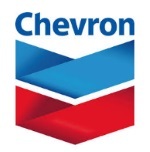 Chevron has a net 70 percent operated interest in approximately 330,000 acres in the Duvernay formation near Fox Creek, approximately 260 km northwest of Edmonton. Since 1938, Chevron Canada Limited has been exploring for, developing, producing and marketing crude oil, natural gas and natural gas liquids. Headquartered in Calgary, Alberta, Chevron Canada has interests in oil sands projects and shale acreage in Alberta; exploration, development and production projects offshore Newfoundland and Labrador; a proposed liquefied natural gas (LNG) project and shale acreage in British Columbia; and exploration and discovered resource interests in the Beaufort Sea region of the Northwest Territories.